His full immersion into the rustic way of life and his admiration for desolate, sparsely-inhabited landscapes all seem a far cry from the cutesy postcard image of Montmartre and the soundtrack of Jean-Pierre Jeunet’s 2001 movie Amélie that some might best recognise Tiersen from. Indeed, ‘∞ (Infinity)’ as with all of Tiersen’s albums, including the Amélie soundtrack, is the very antithesis of the metropolis. If 2.2 million people inhabitParis, then back onUshant it’s a somewhat surprising 888 residents [“not a joke: 2012 numbers!” says Yann], although that figure doesn’t include sheep. “I have four sheep myself who live right outside the house,” he says. The exposed granite landscapes of the moors which Yann has made his home connect the Celtic island with the Nordic island country and its neighbouring southern archipelago, the Faroes. Whatsmore, the overarching thematic threads that bind ‘∞ (Infinity)’ together are the stones, the minerals, their infinite nature, and the islands already mentioned, plus the more nebulous yet defining concepts of ‘love and death’, according to Yann. Language too is integral to this album, with Faroese, Icelandic and English deployed, and significantly Breton too. “As you may know,France tried hard to destroy the language. InBrittany in the 1960s it was forbidden ‘to spit and to speak Breton’ at school. So we are relearning our language as the Faroese people have successfully done." ‘Ar Maen Bihan’, a story written by his partner in the Breton language, became the song of the same name on ‘∞ (Infinity)’. The words were then translated into English, and with help from amiina they became ‘Steinn’, in Icelandic. And then finally with Ólavur Jákupsson - a member of Tiersen’s live band – he wrote ‘Grønjørð’, in Faroese: a song about stones. For the final song of ‘∞ (Infinity)’ Aidan Moffat (Arab Strap) came on board and provided a rousing Celtic finale with ‘Meteorite’ - his interpretation of Yann’s nonspecific instruction to write about stone. Tiersen says he’s always admired the ex-Arab Strap singer-songwriter and while a couple of attempted collaborations between the pair didn’t exactly spark into life, they hit a rich seam at the third time of asking. Live, Yann Tiersen is unmissable. 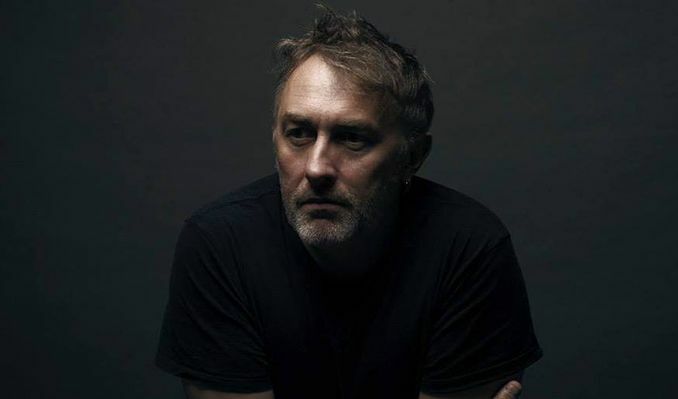 A show atLondon’sICA sold out immediately and will be the first opportunity to see Tiersen inLondon since the sold out Roundhouse show in 2011. Following a much-lauded live event last Halloween based on the legendary early 20th century cinematic crimefighter Fantômas, Yann will be back inParis to play l’Olympia this October, with shows also scheduled forLondon’s Royal Festival Hall in September andNew York’s The Highline in May. Yann has gone back to basics on ‘∞ (Infinity)’, making noise with toy instruments just like he did on his early works. “The idea was to start with toy instruments as a reference to my early works, then manipulate the sounds electronically as far as possible to end up with a new base. I took that base and added a new layer of acoustic instruments, and repeated the same process. Finally I repeated the process with strings, so the all album was a constant back and forth from acoustic to electronic to electric to digital, back to analogue. Then all back the other way.” And so, just like the ouroboros, the infinity cycle begins all over again.